A warm thank you to all the colleagues that joined the GRASS team for last week’s lunch and learn. We appreciate that time is precious in a busy term and hope it was an enriching experience for everyone. Beyond enjoying a delicious lunch with homemade cakes – the session explored how screen capture could help HE Institutions with the fulfilment of T&L provision and performance, all in light of the recently published Green paper ‘Fulfilling our Potential’ which outlines key metrics underpinning the initial teaching excellence framework. The event focused on the highlighted areas of retention, attainment and satisfaction. As in previous sessions we focused on giving general advice on adopting screencasts from real life applications at work on campus today – thanks to Emma, Cindy and David. 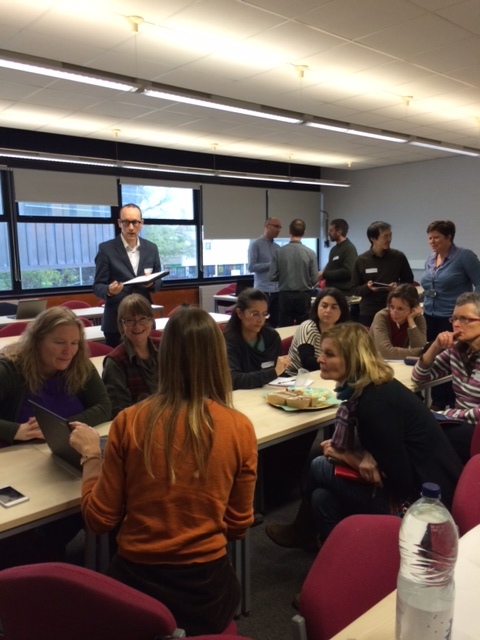 We then broke out into smaller groups in which attendees had a chance to play and learn with the technology (while enjoying cake!). We will be running further sessions – including our Summer conference – so if you were unable to attend, or have colleagues that you feel may benefit, please let us know and we will makes sure you get an invite. Study Advice video tutorials – 72,000 views can’t be wrong! When we released our first suite of screencasts offering self-access learning resources for study skills, little did we think that a mere two years later we’d be celebrating over 70,000 views! Our initial motivation was reports from students that they would like to come to our Wednesday afternoon workshops but had other commitments at the time. We felt that simply filming the workshops would not work for mass dissemination – we aim for interactivity and so each workshop is quite different. We were also aware that students with heavy workloads were unlikely to prioritise the time to watch extended videos on what they perceived as extra-curricular topics. For the same reason, we wanted to make the screencasts as engaging as possible – but knew that we would need to choose a method that was sustainable within our very limited budget. These factors dictated a model of 5 minute screencasts focusing on particular aspects of study practices (e.g. structuring essays, answering the question, using evidence) that used the animation techniques available in PowerPoint to illustrate a spoken narration. We were fortunate to receive some funding from the Annual Fund for our pilot project which we named ‘The 24/7 Study Advice workshop’. This enabled us to buy some additional hardware and software, plus provided some cover for our information desk which freed up our time to learn new techniques and develop a style and a working process. 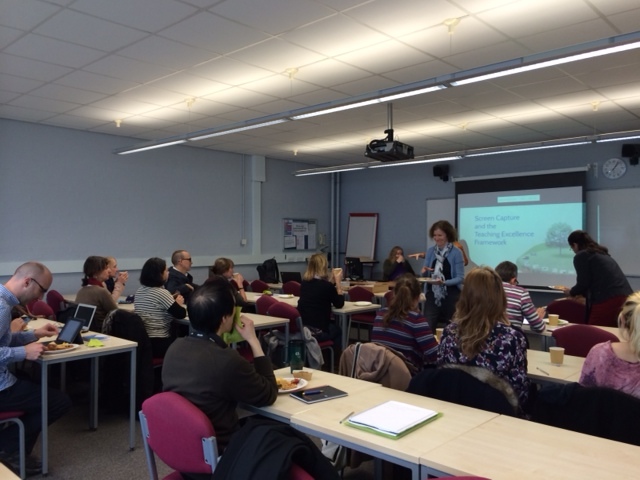 Our first suite of screencasts on aspects of essay writing was completed in summer 2013 and demonstrated to teaching staff at a launch event at the University. The enthusiastic feedback we received encouraged us to continue after our project funding ended. To date we have produced suites of screencasts on essay writing, referencing, preparing for exams and dissertations (31 in total), a one-off on understanding marking criteria, and have plans for more in the future, including one on using Turnitin formatively. In addition we have produced a few more discipline-specific screencasts on request, and have been able to share our experiences with staff interested in producing screencasts of their own. Our initial motivation for producing the screencasts remains relevant, and we promote them via our website and Twitter account, and in teaching sessions in departments and individual sessions with students. They are also linked to by other institutions, both in the UK and internationally. , The very positive feedback we receive on our screencasts from these institutions shows their value as a promotional tool for the excellence of teaching and learning at the University. We use the screencasts in our teaching: as an illustration of principles, a way to vary the pace and format of a session, and as a prompt for discussions. In addition to our plans to cover more topics, we have recently started to add transcripts to the tutorials to increase accessibility, and are working on teaching notes to accompany them to encourage their use by staff within departments for timely study skills advice and enhancement sessions. Perhaps our only slight disappointment is that, because our aim is to produce a coherent and consistent set of resources, we are tied in to our original model and cannot take advantage of the multitude of inventive ideas for formats and presentations that are now blooming across campus. However, the number of views just keep on rising – so we must be doing something right!